Memorizer ' | Mac App Storeのアプリ検索・ランキング BuzzMac! About 50 000 people around the world have already been playing this game on iOS. And now it's also available on Mac. Do you suppose your memory is perfect enough? Now it's time to really test and upgrade it with HAVING GREAT FUN. Even if you have been disgusted by memory games, most probably you'll become fan of this one. The game has been designed for all kind of players from kids up to most advanced players. Have a good time and enjoy it! Also recommend the game to all your friends. 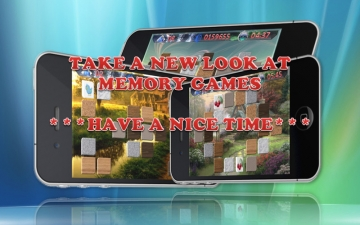 Game promotes memory training as providing mental simulation. Its goal is to discover all identical pairs of pictures by flipping dynamic 3D cards. 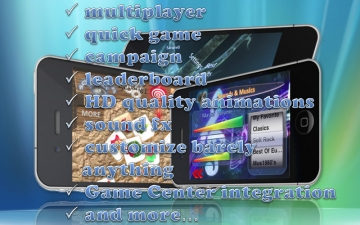 All game and menu are integrated in one modeled animated environment supported by fine sound effects. Game is easy and intuitive in use. It has 7 subcategories of difficulty. 3 game modes (quick, multiplayer and campaign). 7x12 levels including bonus levels. In the game you can use already grouped elements by type or even create your own custom group. You have opportunity to create also backgrounds custom group. In addition it doesn't have any age restriction. Win the levels, unlock achievements, beat score records, open new levels and enjoy them with family and friends in multiplayer mode. *Now you have got opportunity to buy this amazing game at incredible low price and enjoy with family and friends. **Dear customers if you're experiencing any kind of problem in our apps, feel free to contact us. Use our support web site to do so.